Still too much heads-down and aggro from the Indians. Distressing because of the wilful, or pathetic, ignorance? Who’d give an FF about this other than immediate family. As a wee un I was confused about the supposed horror of Nagasaki and Hiroshima. My confusion was how people incinerated in Hamburg , Dresden , Tokyo etc were meant to feel better about being incinerated by “conventional ” weapons”. Doubt their last thoughts were “Thank Dog I was incinerated by conventional weapons: . Bonus trivia. Ray Bradbury’s “Fahrenheit 451 ” was partly inspired by a Maori fellow POW as they cleaned up after Dresden fire bombing. Blimey, these MSM pundits seem to have extraordinary powers of perception & ability to predict future events well beyond the abilities of us mere mortals! But just as the leadership change cruelled Bill Shorten’s chances of ever becoming prime minister, it dealt a heavy blow to Xenophon’s plan to build a new national political party. As the old saying goes: “it’s not over till the fat lady sings”! It is outrageous, but they worked the same method with Gillard who they couldn’t defeat on policy. kk – 2 golden points for the Maori just for surviving the stench. That was the point in his prologue . Maori chappie did not survive. Keeled over stone dead after going in to another cellar full of dead Chermans what they were clearing out after the raid. kk – Such is life. ‘Tis indeed. Ray reckoned it was the horror of what they saw that did him in. Big 😆 to read him mention Maori dude was “large”. Fiona..did you get my email? Yes – see tomorrow’s thread. Ah , the wisdom of Truffles. “We do not intend to be in Iraq forever”. Curtis Lemay was one of the greatest pricks the world has produced, but to win a war against criminal fanatics such as Nazi Germany and the Japanese Empire takes blokes like him. Don’t start military action unless you acknowledge that to win you will need to be as ruthless as Lemay (and Chukov of Russia) , and that you are likely to be opposed to people of their ilk. That is very true. And I believe every Japanese schoolchild should read Sister Bulwinkle’s book about her war experience, ‘White Coolie’ I think it was called. I urge you to watch the ABC Iview replay of Tracey Holmes interviewing James Hird. Throughout my major thought was to imagine our top political players in the interviewee’s seat being forensically but not belligerently questioned by Tracey Holmes. THAT is the level of interview so shamefully lacking in our political discourse. 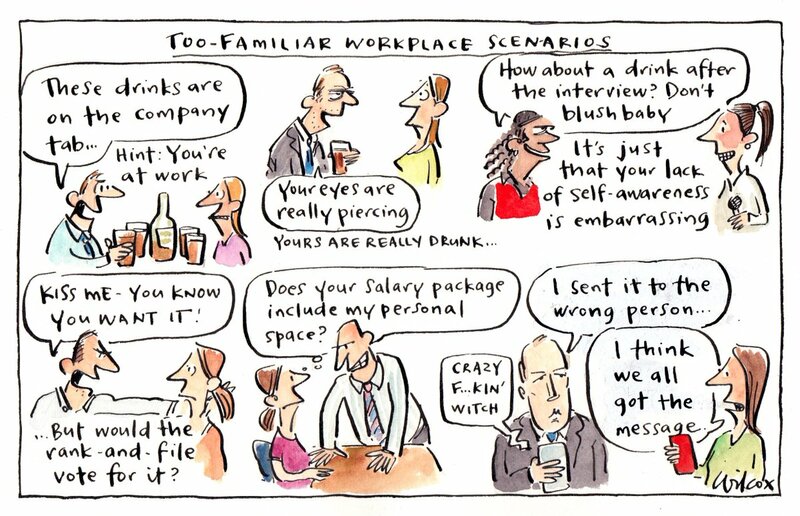 Holmes made every one of the Canberra Press Gallery and the ABC’s Cassidy, Ullmann and Sales look like rank amateurs. Self harm in immigration detention centres is rampant. NSW Labor has the bit between the teeth on reform. It’s not just chiropractics that are getting away with dangerously inefficacious “treatment”. Sussan Ley and pathologists are heading for a big stoush. This is a bit sad but in one sense uplifting. Surely there is need for increased compliance enforcement in aged care. The TURC secret volume is causing a bit of trouble. What hope do little girls have under these circumstances? How marine species are being widely distributed around the world. Campbells breaks ranks and will label GMO foods. The government is looking at exporting APS jobs to India. The six technologies that will define 2016. Jon Kudelka analyses Turnbull’s speech to the troops in the Middle East. 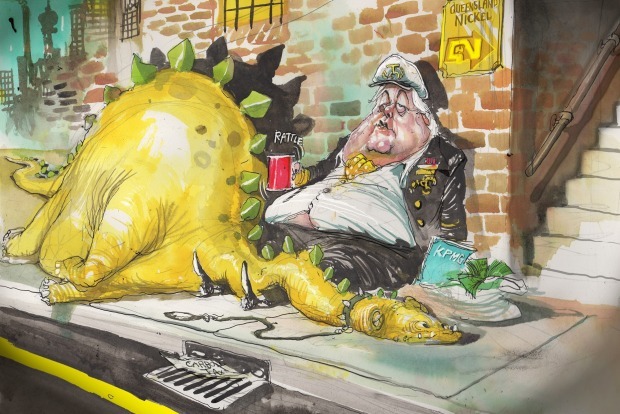 David Rowe is suggesting Clive Palmer’s on the skids. Alan Austin piles into Andrew Bolt and the ABC. Great work from Stephen Koukoulas here. Palmer’s Queensland Nickel has gone into voluntary administration. 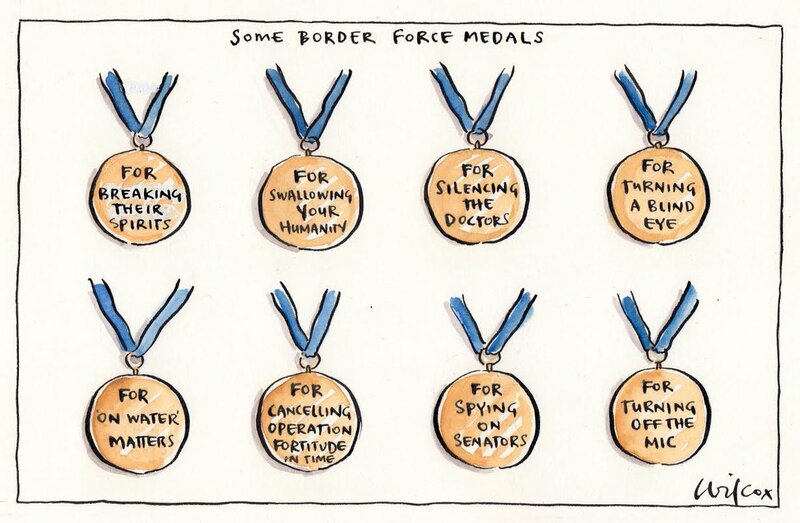 Brilliant stuff from Cathy Wilcox. Derision so richly deserved!